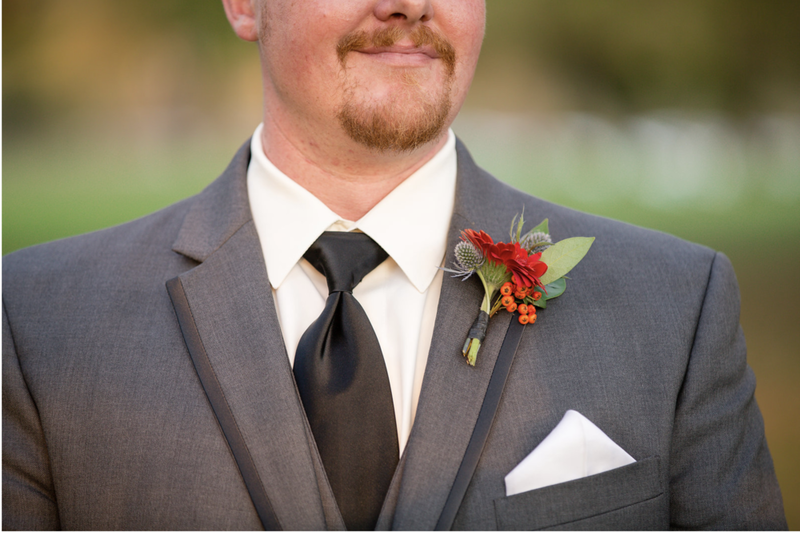 Kaitlyn and Rob were married on a beautiful fall day at the Woodlands at Algonkian. Kaitlyn loves jewel toned colors so we brought in reds, oranges, and purples with a touch of light blue through our flowers. 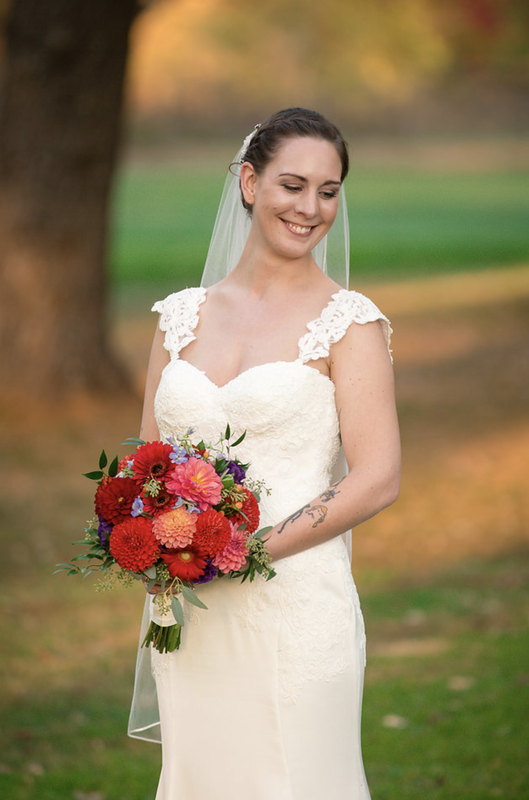 The bouquets featured Kait's favorite flower, gerber daisies, along with locally grown dahlia from Don's Dahlias and Lynvale Studios as well as a few from our own cutting garden here at Lark Floral. Can't get much fresher than that! I first met Kaitlin's mom, Kristi, years ago when we both worked at a local flower shop. She would often talk about her three daughters and it was so fun to see this family all together and these girls all grown up! 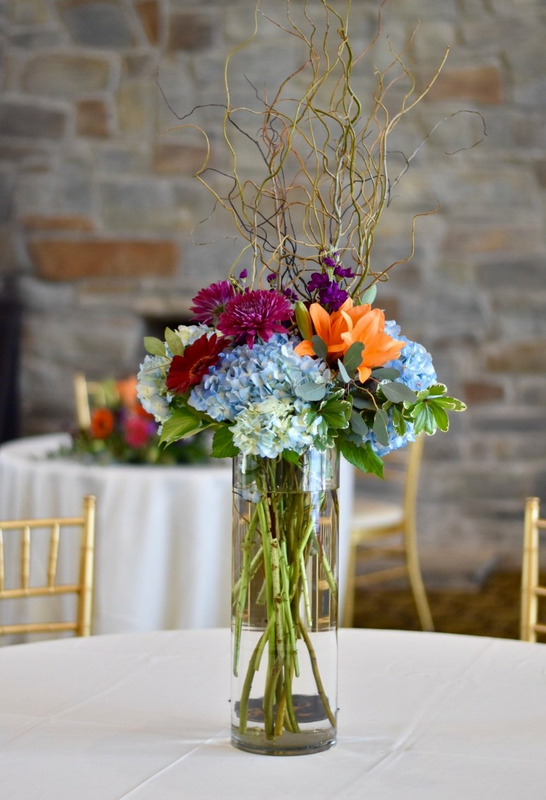 Centerpieces were a tall colorful mix of hydrangea, lily, stock, mums, gerbera daisies, willow, and greenery. 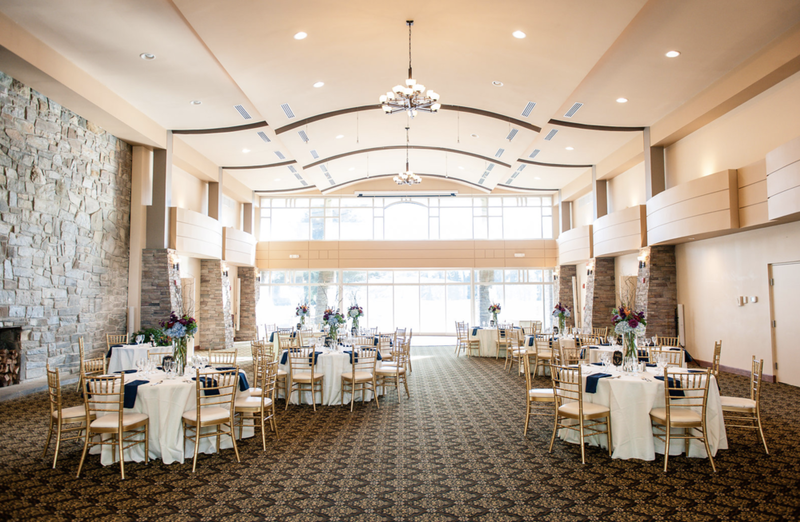 In a room with very high ceilings, tall or elevated centerpieces make more of an impact. Many thanks to this sweet family for letting us be a part of this beautiful day!